Nestled about 30 minutes south of Florence, South Carolina lies a quaint little place called Lake City. With its 7,000-person population, old brick warehouses, and quiet downtown streets, Lake City might seem like any other sleepy small town. But as you stroll past outdoor art installations and colorful, large-scale murals, you’ll quickly realize this isn’t your average map dot. 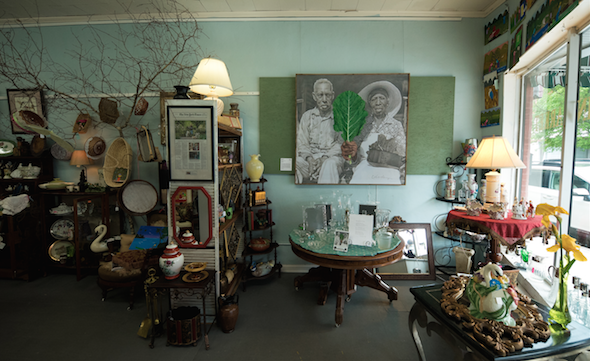 With the help of an annual event called ArtFields, this rural Southern town has defied stereotypes and transformed itself into one of the country’s most thriving art destinations. Once a flourishing agricultural city, the former “Bean Capital of the World” fell on hard times when the market declined in the mid-1900s. Businesses shuttered, locals moved away in search of new opportunities; Lake City wasn’t much more than a mile-marker off of Highway 52. The cornerstone of her plan? ArtFields, a bustling nine-day art competition and festival that infuses the town with liveliness and celebrates creatives from across the region. To say her plan is working would be an understatement. The event has grown both in attendance and impact every year since it first launched in 2013. 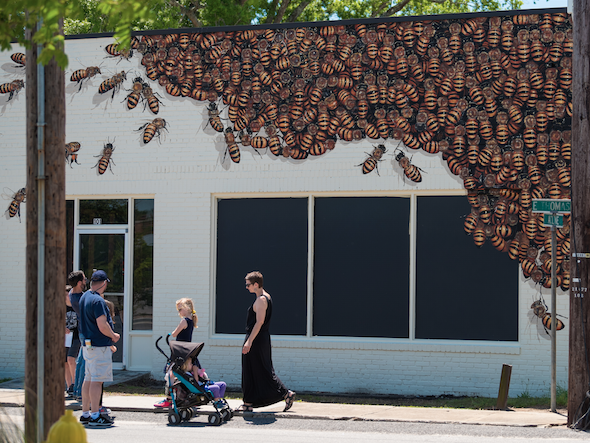 In addition to the Jones-Carter Gallery (a Smithsonian-certified art space), over 40 local businesses temporarily transform into art venues during ArtFields, from bakeries and barber shops to Mexican restaurants and mattress stores. Johns Island-based watercolorist Anita Laudone has competed in juried shows at ArtFields for the past three years, and she will show her work in Lake City again this spring. She’s excited to be part of an effort that champions creativity and makes art accessible to all people, no matter their background. Anita Laudone Harley, ‘Beauty is Life Deep’. Showing in ArtFields 2019. 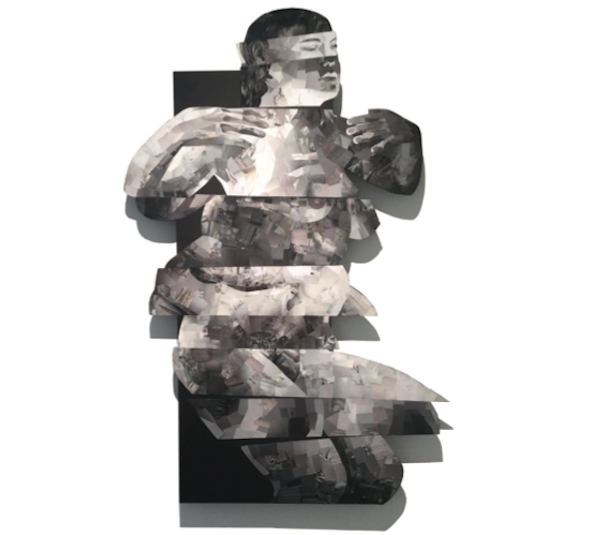 Each year, the competition offers more than $140,000 in cash prizes, including the juried $50,000 grand prize and $25,000 second place awards, and two $12,500 People’s Choice awards, determined by attendee votes. 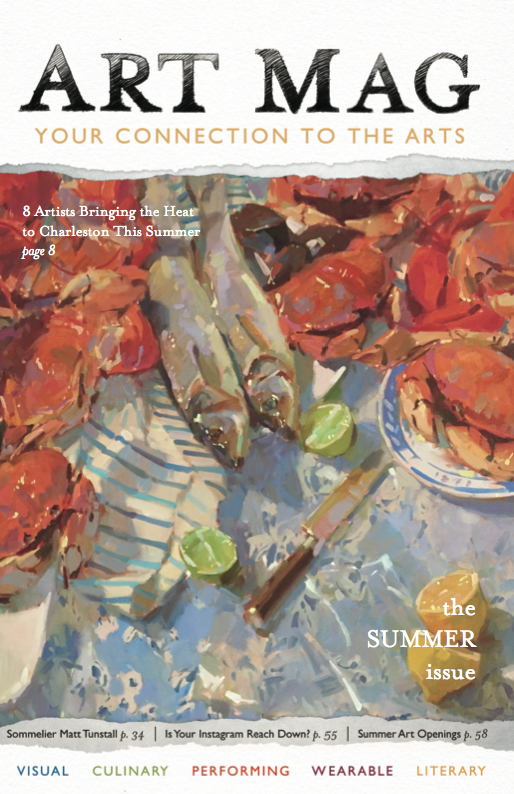 This year, ArtFields has added twelve, $1,000 State Awards, honoring one artist from each of the qualified Southern states. 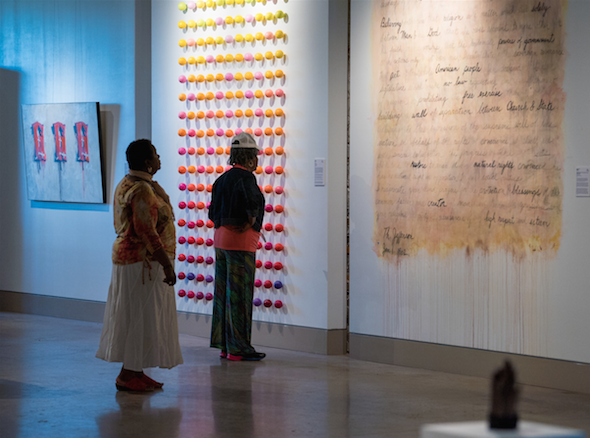 Kristi Ryba, a Charleston artist who won second place last year for her installation ‘The Chapel of Perpetual Adoration,’ says ArtFields offers a platform to connect with new audiences that she may not otherwise encounter. Heather Thorton, ‘Graft’, 56 x 36, collage. Showing in ArtFields 2019. For Heather Thornton, ArtFields marked an important stepping-stone in her career. The 2017 event was her first experience showing work outside of Charleston, an opportunity to build confidence and meet art curators, critics, and fellow creatives. Hers is a sentiment that many Charleston-area artists share. 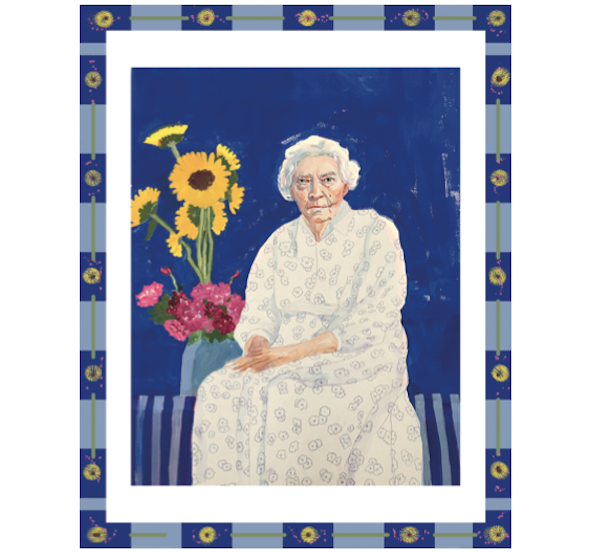 As the event’s benefactor, Darla Moore, had hoped, ArtFields has certainly made its mark on the lives of Southern artists. Now entering its seventh year, ArtFields 2019 is set to be one of the largest yet, with over 385 participating artists and nearly 50 exhibition venues. But ArtFields’ impact hasn’t just been isolated to the creative scene. This nine-day event has been a major catalyst for economic growth in the small South Carolina town. According to Kines, ArtFields is often a more profitable time of year than Christmas for local retailers. He recounted the story of Deanna’s Bath & Body, a downtown shop whose owner was able to purchase and renovate her building thanks to ArtFields. Deanna’s story isn’t an anomaly; there are markers of economic revitalization at almost every turn. Local shops double as art galleries during ArtFields. “Plantation Tree of Life” by Colin Quashie in the East Main Market during ArtFields 2018. 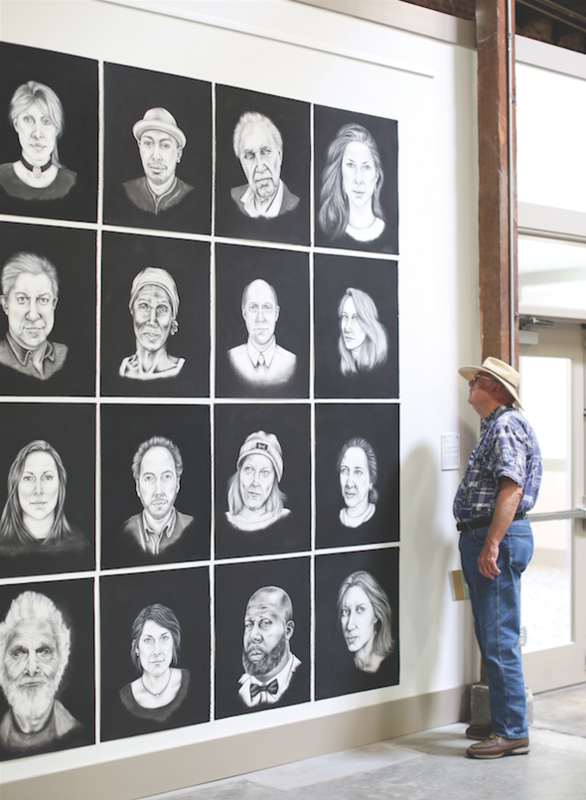 This year, Lake City Creative Alliance will open two new permanent art venues, including the TRAX Visual Art Center. At 5,000-square-feet, this impressive space is set to be one the largest art centers in South Carolina. The town will also unveil a new, state-of-the-art visitors center in April, providing a central hub for travelers throughout the year. They’re also in the process of completing additional downtown renovations, including upgrading storefronts along some of the main streets and adding new residential units upstairs. 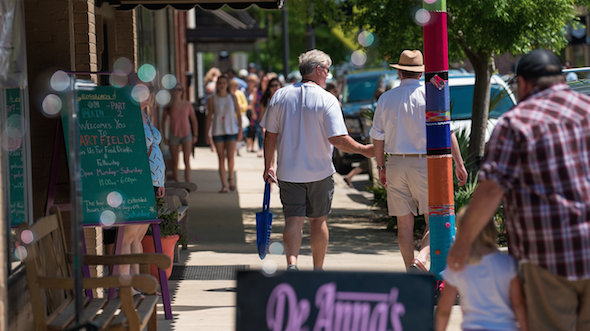 The population of Lake City nearly triples during ArtFields, with more than 20,000 visitors stopping through town to partake in the event festivities. To handle this influx of guests, the town of Lake City is developing a 35-site luxury RV park and working on ways to help residents rent their spare rooms, including hosting an upcoming seminar with an employee from Airbnb. “Our boutique hotel, The Inn, gets booked up well in advance of ArtFields, so we realized we needed more options for artists or tourists coming to town,” says Kines. With the addition of these new spaces, Lake City has quickly become a thriving destination for festivals beyond ArtFields, including the South Carolina Tobacco Festival and the Rhythm & Q’s BBQ and Live Music Competition, which offers the largest prize money in the state for an event of its kind. According to Kines, Lake City also played host to 14 statewide conferences in 2018, including events for the American Institute of Architects and the South Carolina Independent School Association. Perhaps nothing illustrates that vision for progress better than Lake City Launchpad, an exciting economic development effort that started last year. 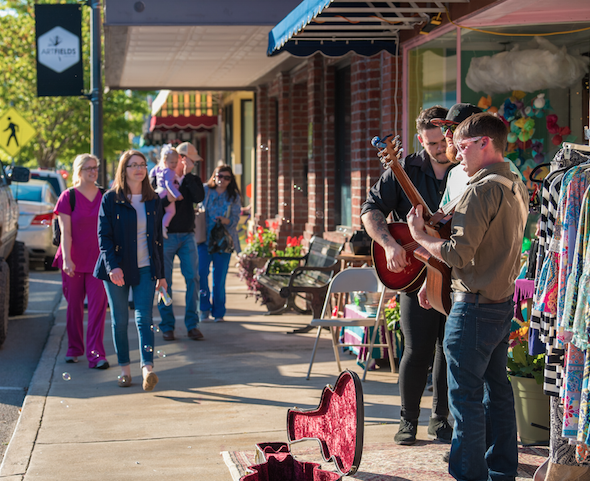 This six-month small business competition helps entrepreneurs open storefronts in downtown Lake City; the winner commits to a four-year lease and receives a $55,000 incentive package to jumpstart their brick-and-mortar business. The inaugural winner, a new restaurant called Piggyback’s BBQ & Catfish, opens later this month on Sauls Street, right in the heart of historic downtown. In true Lake City fashion, they’ll transform into a gallery during ArtFields 2019. Learn more about ArtFields at artfieldssc.org and discover all of Lake City’s attractions at visitlakecitysc.com. ArtFields will be held April 26 – May 4.